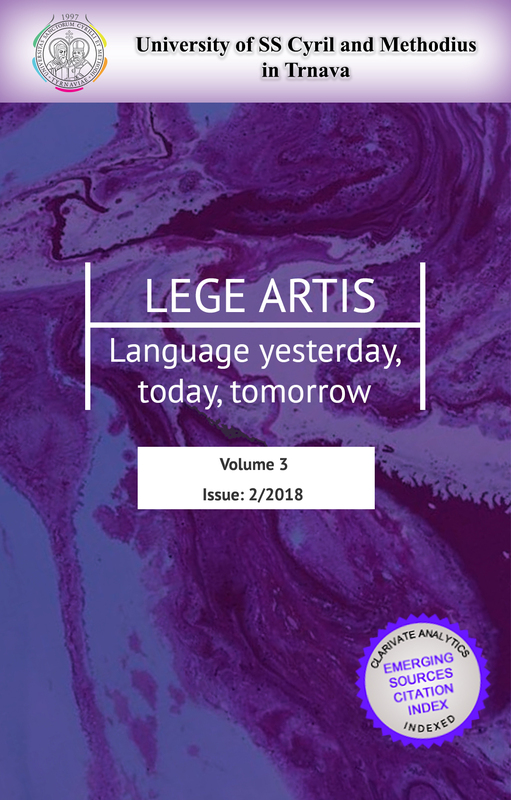 It’s my great pleasure to present the first issue of “Lege artis. Language yesterday, today, tomorrow” to you, to your colleagues, to the research community and the world at large. I have been working on this project for several years building the international team of outstanding and promising scholars, creative and responsible people. Our editorial board grants academics, researchers and professionals interested in publishing in “Lege artis. Language yesterday, today, tomorrow” an opportunity to submit their original articles and research study results related to the focus of the journal, which have not been published elsewhere. More about our editorial policy and requirements you may find on our web sites. As far as we do not have the hard copy of the journal, your article will very soon be read in many places all over the world. Traditionally, in editor’s note or editorial of the research journal the editor presents papers, which this issue contains. I would like to violate this tradition and out of eight types of editorials popular in journalism I have chosen the editorial of appreciation or, to be more exact, of gratitude. I want to start with Uri Tadmor (De Gruyter Mouton), whose kind words of reference brought us to Magdalena Mikołajczak and Martin Velický (De Gruyter Open). We are much obliged to Martin who many a time came to our university for the personal meetings in Trnava where “Lege artis” originated and gave us good pieces of advice and to Magdalena for her patience, support, and understanding. I always felt considerable support from my deputy Agnieszka Uberman, who had edited all our official papers as well as some of the articles, who was always acting as a most useful second. We have internal and external reviewers. I want to thank all of them; to thank anonymous reviewers whose name I can’t mention now, only the countries they represent – Belgium, Poland, Russia, Ukraine, USA – and members of our journal team who have helped me and supported me in the preparation of this publication; the champions in this category (I mean reviewing) without any doubt are Iryna Pinich and Ad Foolen, followed by Dmitry A. Kryachkov and Daniel Lančarič. 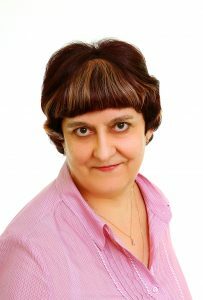 Iryna Pinich is also our language editor; Ad Foolen and Daniel Lančarič take care of résumé editing, thus their contribution to our project is worth admiring. I also want to express my sincere gratitude to outstanding scholars, the members of our team who found time in their tough schedule for reviewing coming papers. Our review process is not quick. Having two positive reviews the paper goes to our language editors. Editing done by Iryna Pinich and Donald Trinder, their valuable critical remarks are both useful and stimulating. At the final stage, our Managing Editors, Halyna Stashko and Magdalena Trinder check every comma, dash, and full stop. Their work is really done lege artis. I want to thank our authors, scholars and university teachers, who felt confidence in our project and responded to my appeal to publish their papers in our journal when we were at the zero point and had neither ISSN, nor web site. Now you see how many visitors we have and their number is constantly growing. It is thanks to our web master Michal Kabát. Michal has successfully realized my most daring and challenging ideas and added more. Our baby, “Lege artis. Language yesterday, today, tomorrow”, has been born, having such proud parents as “De Gruyter Open” (definitely father, because publishing house is in Slovak of masculine gender) and University of SS Cyril and Methodius in Trnava (definitely mother, because university in Slovak – univerzita – is not only of feminine gender, it is also alma mater). Like any child our journal has God father – Uri Tadmor who blessed our project and God mother – Dana Petranová, the Head of the Editorial Advisory Board who helped us to solve many problems we were facing in the process of this project realization. Our baby definitely has guardian angel – Tatiana Podmaková who has managed to find the way out in many situations. Now you see that our strong international editorial board and quality publications make our journal very special. Hope Martin Solík very soon will register “Lege artis” in prestigious data bases. I have no doubt that Slavomír Magál and Roman Vasko will continue sharing with us their experience of journal and people management making our journal better and better. I hope that our journal will become a source of inspiration for our future authors. Do not hesitate to contact us and offer your new ideas. A great ship needs deep waters. Fair wind and full sails to our ship and God bless it and us all!